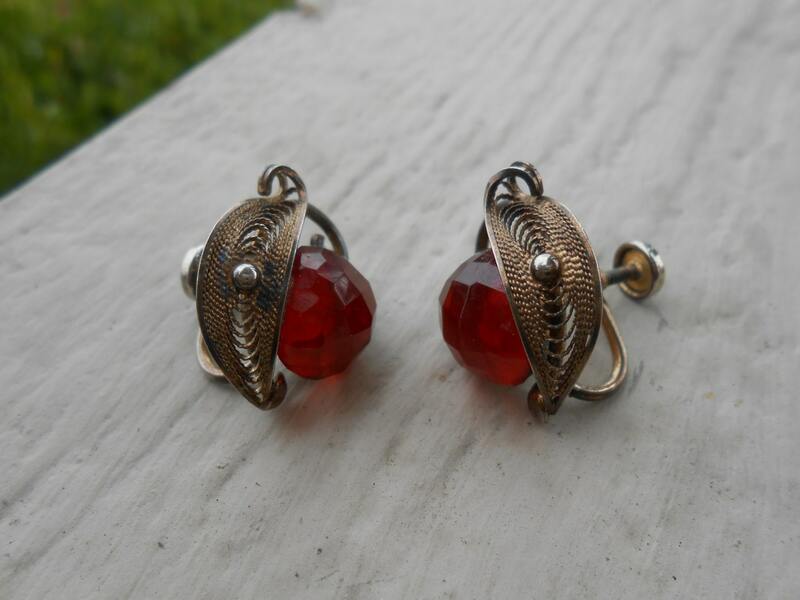 Vintage Filigree Earrings, Red Stone. STERLING SILVER. Sorrento. Great Valentine, Anniversary, Wedding, Birthday Gift. 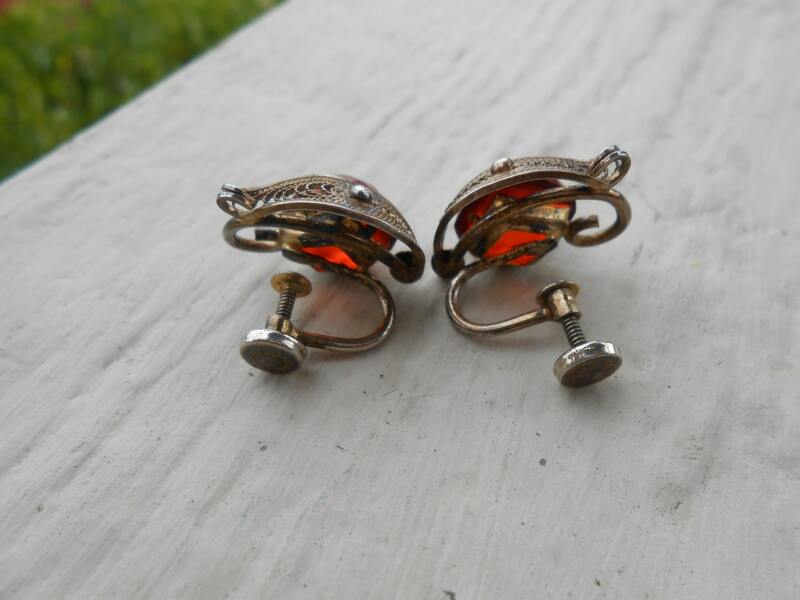 These cute little vintage, sterling silver earrings are awesome! 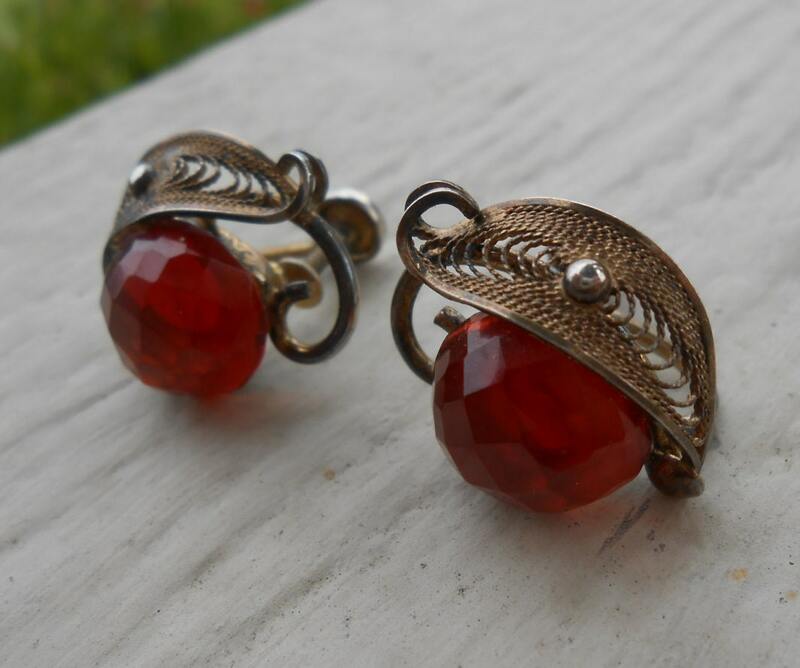 Each one is marked Sorrento Sterling and was made in the 1960s. 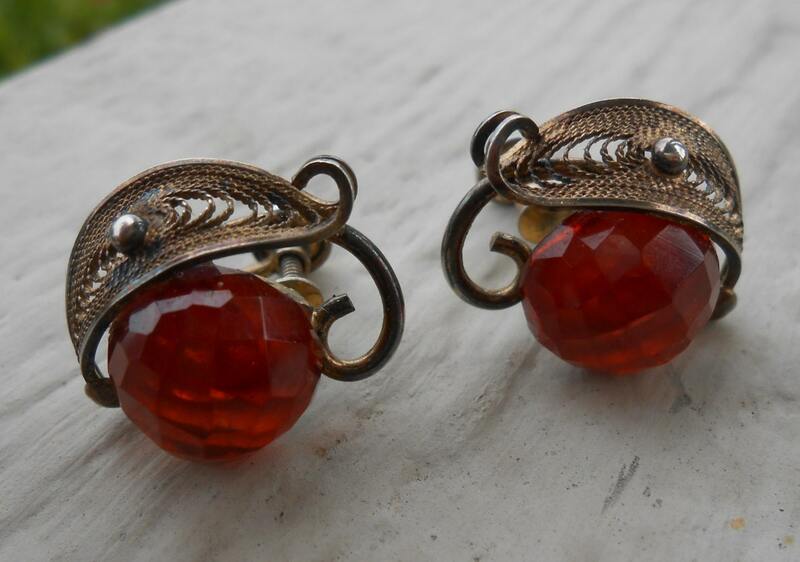 They have a gorgeous filigree, and a red stone. These would make an awesome gift for anyone! 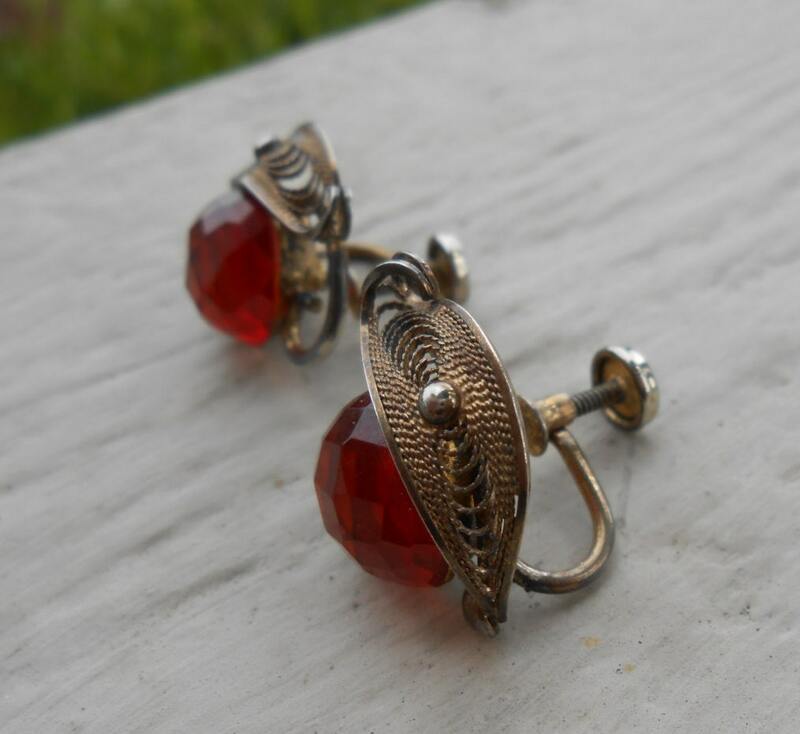 These are in good condition, with just a little bit of patina that could be cleaned off. They measure 3/4" and are very lightweight. They are a screw-on earring!